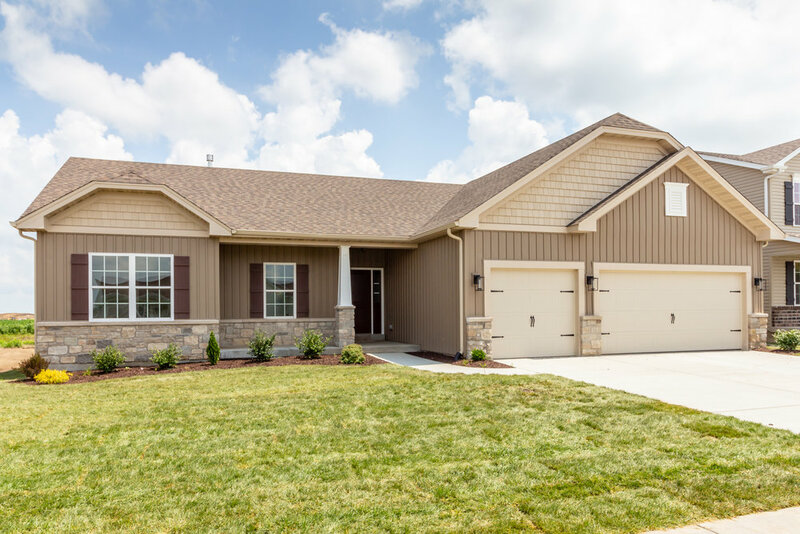 New Homes from the $240's in St. Charles, Missouri located near New Town Blvd.! Style, Value, Location. This St. Charles Community has it all! Charlestowne Crossing offers our most popular T.R. Hughes home styles in a fantastic St. Charles location. This beautiful community has easy access to restaurants and shopping. Just minutes from 370 and 270. ALL HOMES COME WITH A 3-CAR GARAGE! ALL HOMES COME WITH A 3-CAR GARAGE! Take Hwy. 370 to north on New Town Blvd., south on Mueller Road, left on Boschertown Road. Look for the T.R. Hughes Charlestowne Crossing sales center signs. Open Daily 11 am - 5 pm.